I’m off to the CodeGear Developer Day tomorrow. I had not sent the details home, and realized I was clueless about the When and Where parts. trying to remote desktop into my work station, (I could get to the build machine, and FTP into mine) to try use Outlook. I tried Google for the event. and found it. So I now know the Where and When, I can get on with other things…. First the good. My current C++ projects were updated from VS6.0 so the project files are quite messy. One project file was 250KB large. One of the feature I like about VS2K5 is unloading the project (right click on the project in the Solution Explorer). Then right click it again and choose Edit project. Ta-da, you can edit the raw XML of the project. Now in my projects I had for each file, extras that were always blank. So now we know only blank entries will be removed, we can charge ahead and press the Replace All button. Oh the rush, did it work? Anyway after the trimming the large project is only 35KB now. The above file block only has two build targets, but the large project had seven, thus every file had seven FileConfiguration blocks. After editing, close the project file, then right click to Reload it. Now the other part of this post is for me to rage that devenv.exe (Visual Studio) keep using 100% of one of my CPU’s when editing/debugging more than one solution at once. Which is really annoying as I have 4-5 programs in our product, and I want to debugging then concurrently. It seems that if I start a new copy of VS while another is debugging it’s lost to the weeds until I reboot. It gets tiring having the debugging going to a crawl. The whinge is now out of my system now, thank you. In 12 hours, 3 minutes and well, 40 seconds from the time of writing this, Shutdown Day Begins – see http://www.shutdownday.org/ for details. It is obvious that many people would find life extremely difficult without computers, maybe even impossible. If they disappeared for just one day, would we be able to cope? See the website for details, counts, comments from people on what they plan to do instead of using their computer, and more. On Saturday we brought a Casio CTK800 from the Christchurch Rockshop. Great service from them so far. We wanted to get a WK3XXX series, due to them being adult versions, but knew the primary target were the children, so got the CTK. It has a very good tutoring system. 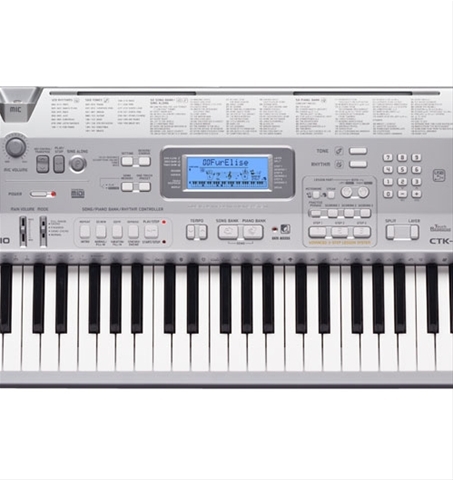 It displays the keyboard and the fingers to use, and if your learning the right hand, the left will play up till the point you need to press your next key, so as you get up to speed the tune starts sounding full and complete. The kids love this as the simpler songs have nice accompaniments, so they feel really proud of their progress. Another feature I like is the display shows you where on the treble or bass stave you current keys are. Very handy for decoding sheet music. Oh my god! I cannot believe I forgot to blog about this book! I loved reading Freakonomics, and am just gob smacked that I said nothing about it. It was just eye opening, factoid strong, wowa! reading. Steven & Stephen have a Freakonomics blog as well! What hole have I been under?